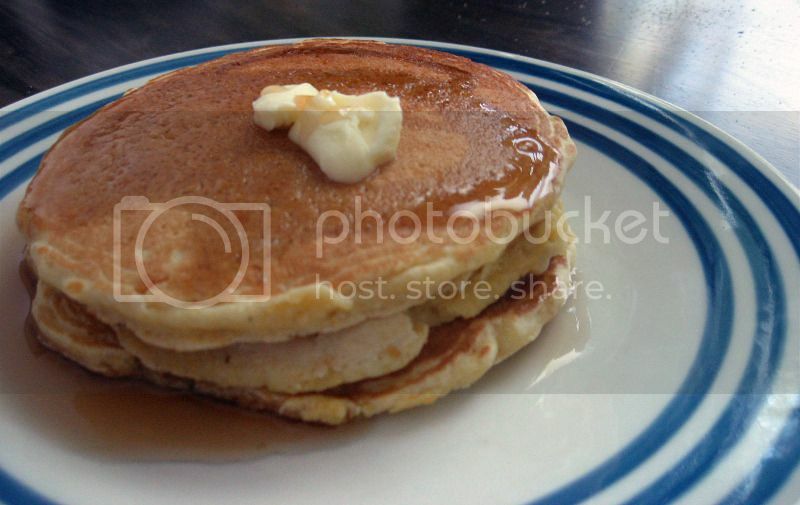 You know, I'm not even much of a pancake person, and yet I've got a few pancake recipes up here. Don't endeavor to understand it, because I sure don't. If I were given the choice between pancakes or waffles, I'd choose waffles. Pancakes or french toast? French toast, always. But pancakes are easier to make. Waffles involve a waffle iron, and french toast is better with fancy bread that I don't have on hand. So... pancakes it is. 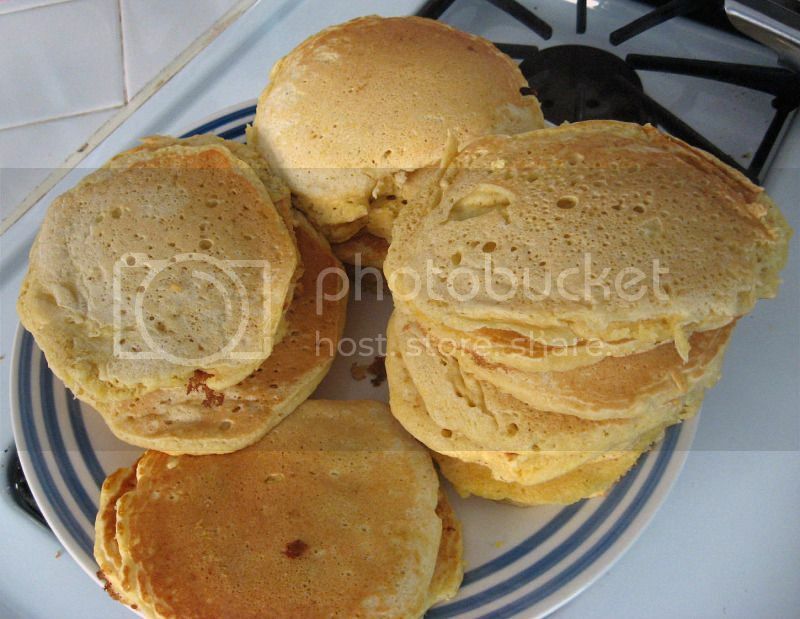 These pancakes use cornmeal. I don't remember what I had to get cornmeal for in the first place, but now I've got it sitting in a cupboard and I've got to use it up! Do you have any favorite recipes that use cornmeal? Lead me to them! Please! 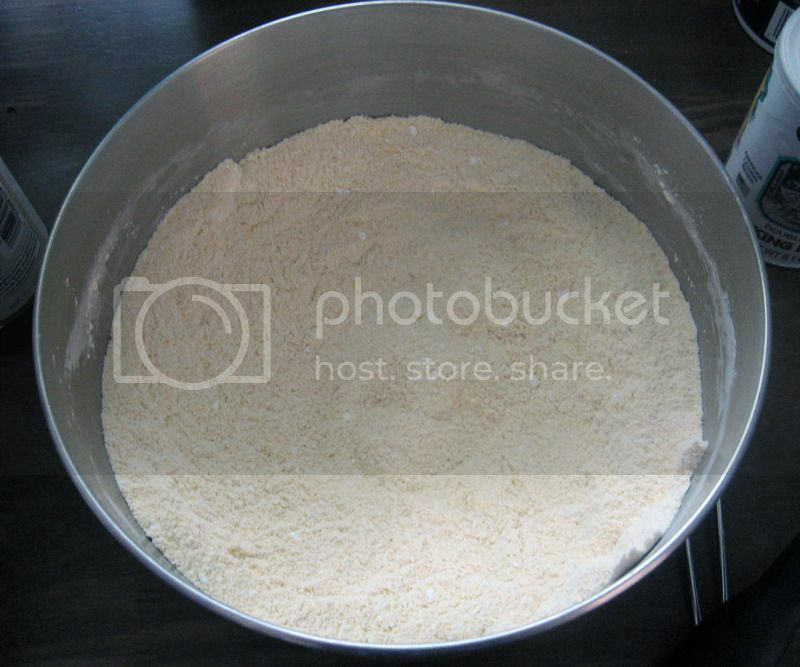 Mix together the flour, cornmeal, salt, baking powder and sugar in a large bowl. Set aside for now. 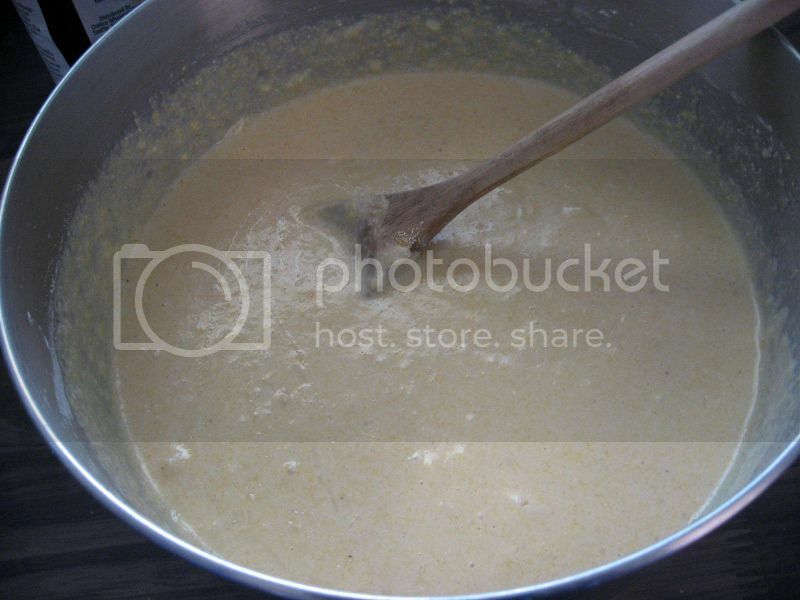 In a medium bowl, mix milk, eggs and vanilla. Pour into the dry ingredients, stirring gently. Stir in the melted butter. 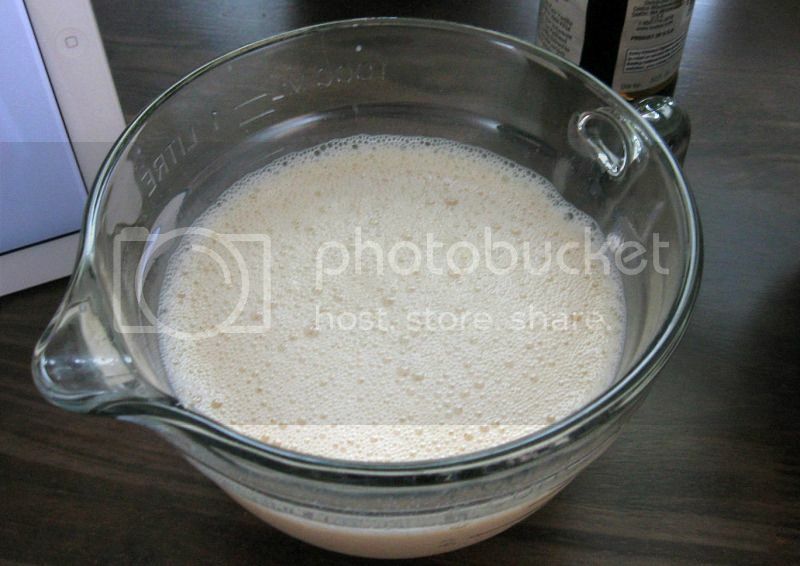 If your batter is too thick, you can add in another splash of milk. Heat 1 Tbsp butter in a skillet over medium-low heat. 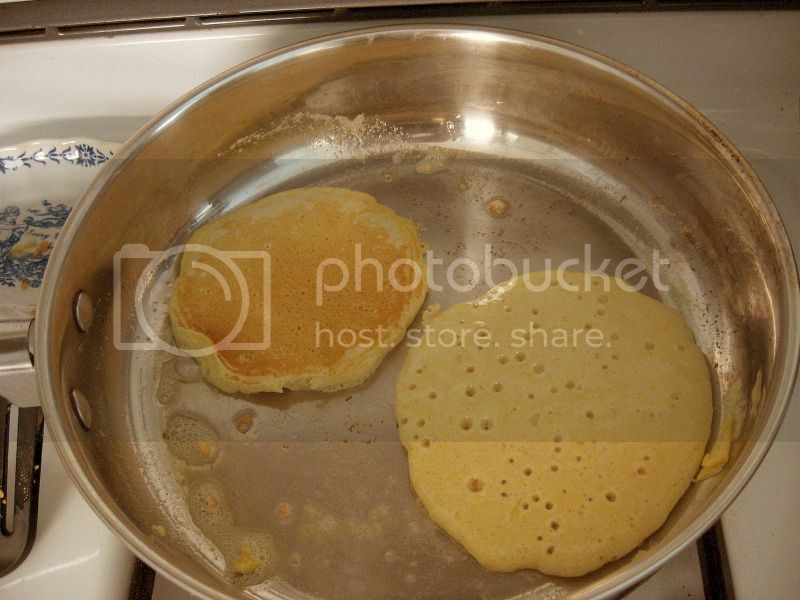 When heated, drop 1/4 cup batter per pancake and cook until golden brown on both sides. Remove from skillet and serve up how you like - butter, syrup, or maybe you like some jam on them instead! All the dry ingredients mixed together. And the wet. 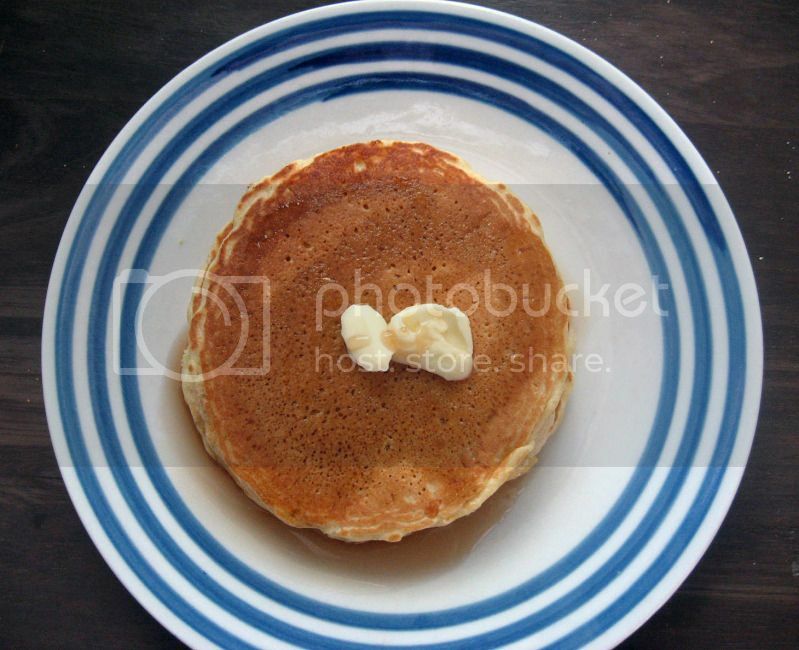 If you want nice thick pancakes, use whole milk if you can. I don't have a cast iron skillet, so I used a stainless steel one instead. 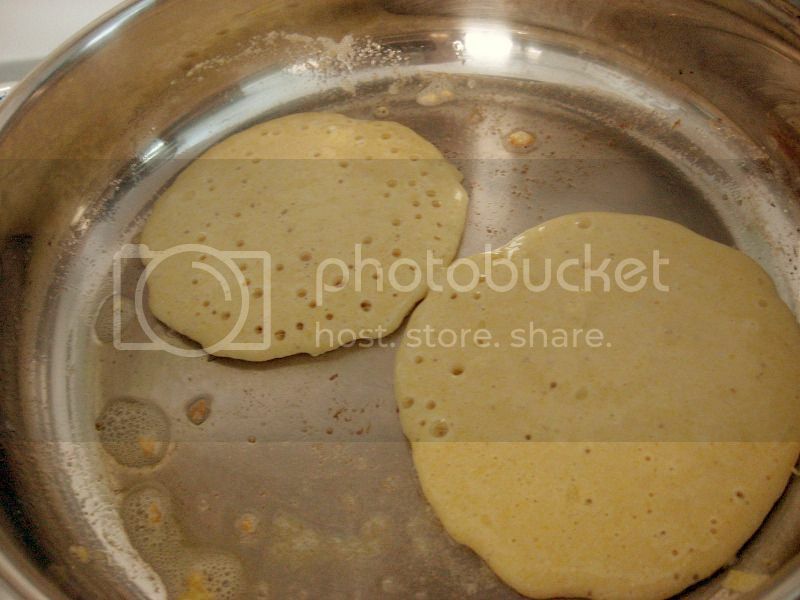 Pancake tip, the one on the left there is about ready to flip. You can tell when it's all bubbly like that. The one on the right, not quite yet! 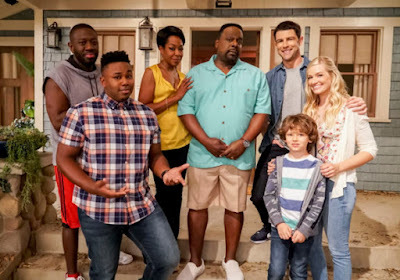 Yep, there it is, flipped! Now the one on the right is about ready to go too. Holy cow this makes a LOT of pancakes. Put on some butter and syrup and you're ready to chow down.